80 Howe Street: Six story brick 1920's building with an elevator featuring 5 two bedroom units (500 sq ft) and 67 one bedroom units (400 sq ft). These apartments include a huge walk-in closet, large windows, and hardwood floors. Rent includes heat, hot water, and cooking gas. On-site laundry room and bike room. Cat friendly building. 1 bedroom flat $1,095 Rent includes Heat & HW. Well appointed, simple apartment the befroom can fit a queen sized bed, small yet efficient kitchen that opens to living room, and large walk-in closet leading to bathroom. Hardwood floors throughout! 2 bedroom flat $1,500 Great light throughout this fourth floor front corner apartment! Living room has large windows over looking New Haven, kitchen is recently renovated, both bedrooms offers great space. This is a great apartment! 1 bedroom flat $1,095 Simple & attractive apartment on the first floor back corner apartment with high ceilings, large windows, hardwood floors, walk-in closet, and located steps from Broadway & most Graduate programs- Architecture, Art, Drama, Law, Medicine, Music, Nursing and Public Health. This is a great location! Posted photos are representative of the available apartment. 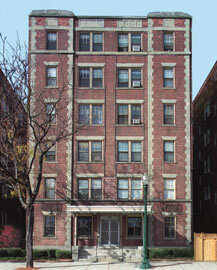 1 bedroom flat $1,095 Fantastic apartment located on 5th floor of a six-story elevatored building. Typical finishes include high ceilings, large windows, hardwood floors, walk-in closet, and located steps from Broadway & Yale. This is a great location! 1 bedroom flat $1,195 Fully furnished 1 bed apartment located on 2nd floor of elevatored building. Offers full sized bed,dresser, couch, sitting table and coffee table. Unit features hardwood floors, high ceilings, large windows, and a huge walk-in closet. 1 bedroom flat $1,195 Furnished 1 bed apartment located on the 6th floor (top floor) featuring hardwood floors, high ceilings, large windows, and a huge walk-in closet. Furnishings include livingroom couch, coffee table, dining table & chairs, queen bed and dresser.